It's officially Spring in Utah! Warm, beautiful sunshine, flowers blooming, green spreading up the Wasatch mountains like a slow rolling carpet, and time for grilling! 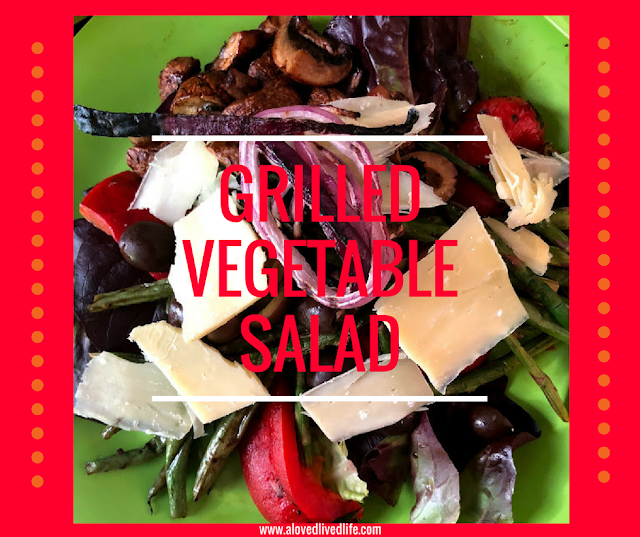 This week's Saladganza recipe is a Grilled Vegetable Salad. It's quick, easy and healthy. 5. Put it all together and devour.